Only slightly bigger than a hardcover book, a satellite broadband terminal makes it possible to take the internet on the road. And this is precisely what Rising Voices now can do! 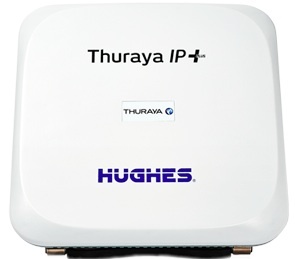 Our new Thuraya IP+ Terminal gives us access to the internet wherever we do our work, regardless of the local internet connection – provided we are within the reach of Thuraya's satellites. Thuraya is sponsoring Global Voices with the device and one year of free connectivity, especially for use by the Rising Voices community. The IP+ Terminal was presented to us at Eurovision's annual News Xchange conference in Marrakech, Morocco on November 15, 2013 in recognition of our groundbreaking work with online citizen media. Internet connectivity is a problem in many of the communities we work in. With this device we will have a backup for many different situations. We'll also be able to take the internet to places that don't usually have it. It opens up a whole new set of possibilities for projects and teaching opportunities. So we'll be thinking of new ideas, as well as using it to support the work we already do.